We are very excited to introduce our spectacular new home Sublime @ Broachbeach. This 8 bedroom home has been designed to include the same quality finishes and furnishings as our extremely popular C’est la Vie property. 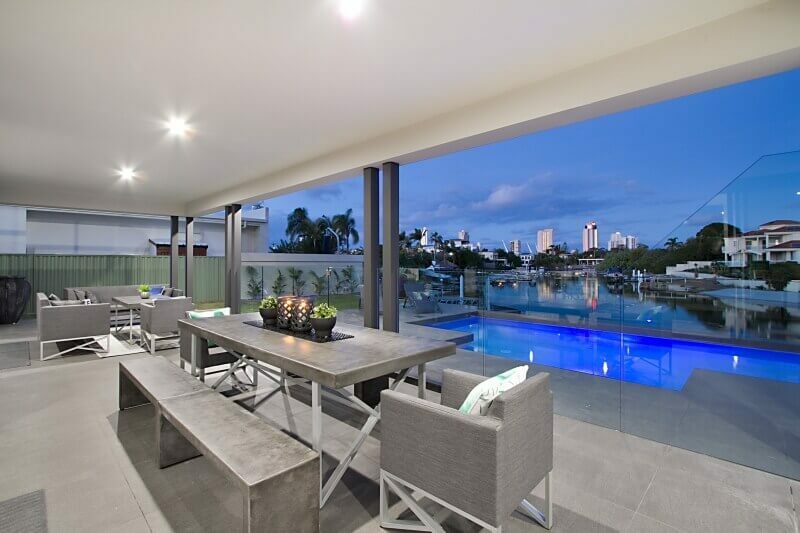 This designer property features an outdoor entertaining area to capture the best of Gold Coast living and endless entertainment for the whole family to enjoy. The outdoor kitchen and BBQ is perfect for those lazy BBQs around the pool and there is a Nespresso Coffee machine for those needing a coffee fix. 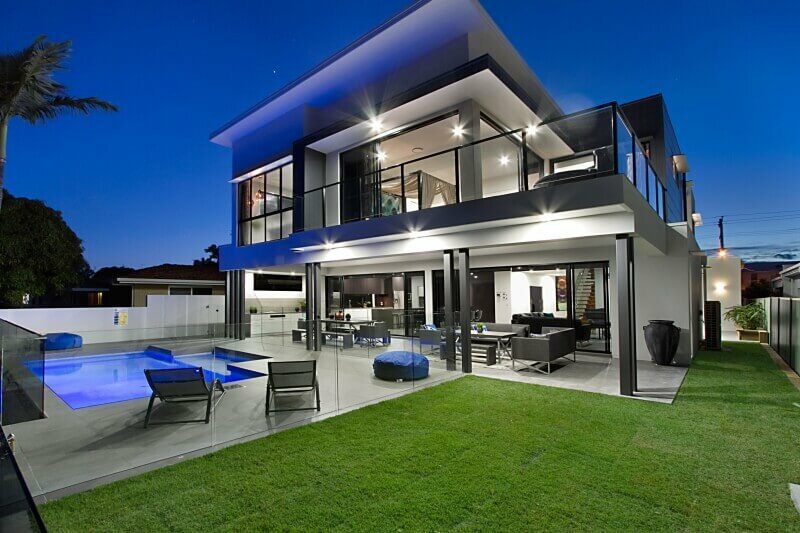 Outdoor living is a key feature in homes on the Gold Coast and this one is expansive and designed to enable you to relax around the sparkling, heated pool. You can fish from the beach or hire a kayak and go exploring. This property is teeming with things to do, from the pool table right up to your very own cinema room. The kids will be constantly entertained, leaving you with more time to relax by the pool. 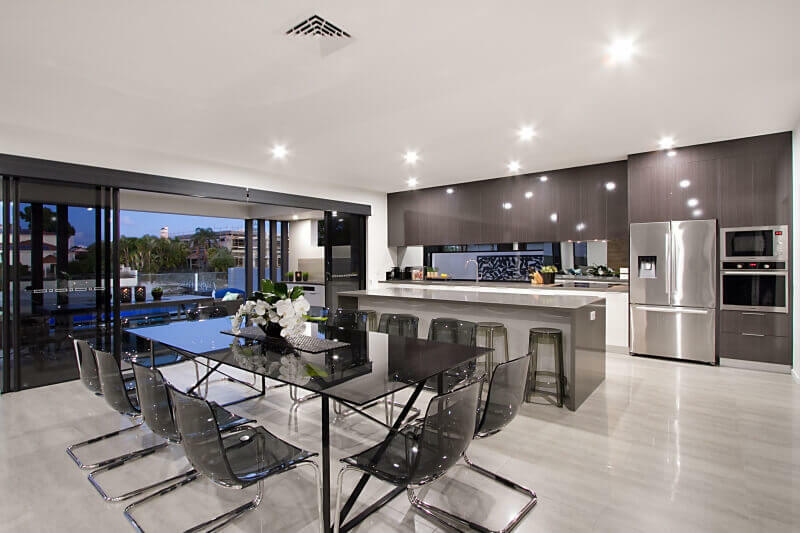 This modern, contemporary kitchen is stylish yet practical with quality appliances and modern conveniences for you to cook up a storm. If cooking isn’t your thing you may like to use the Personal Chef we recommend to cater for you in style. The modern dining area allows you to enjoy a delicious meal in an elegant setting without having to leave the comfort of your own home. Situated just a short walk from everything Broadbeach has to offer, Sublime @ Broadbeach is the perfect property to make sure your holiday on the Gold Coast never has a dull moment. To be one of the first to experience this spectacular property, give us a call on 07 5592 3881.